If there's one design trend that stands out in 2015 it's the kitchen backsplash. As part of a new home or a kitchen remodel, the backsplash is becoming the focal point for a kitchen's design. 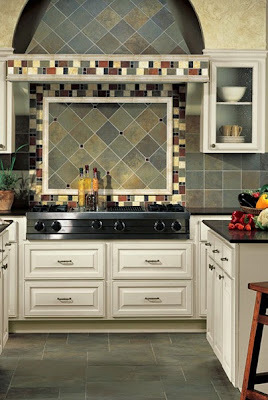 A tile backsplash between your counter top and cabinets is one of the easiest ways to update an older kitchen. 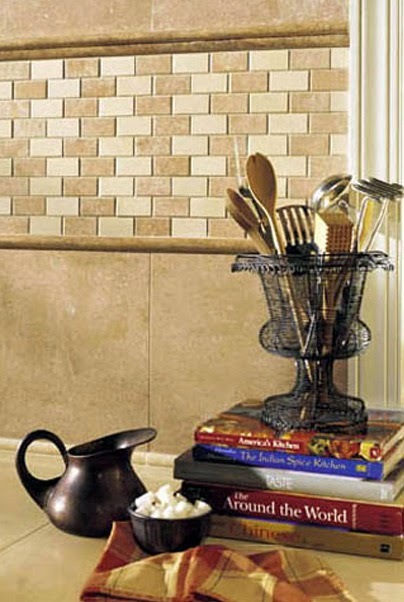 It's also a good functional addition to the room because a tile backsplash is much easier to clean than a painted wall. Today's tile choices give homeowners a wealth of options to consider. Funky and colorful. Clean and simple. Mosaics. Metallic. Glass. Ceramic. Tile has something for everyone! It's surprising the difference a few feet of tile can make in a room. Your kitchen tile backsplash will tie together your color scheme and pull the room together. It's an opportunity to be a little creative - and that can be intimidating for many homeowners. With the number of options available, it can be hard to know where to start. Our design partners at HGTV have some great guidelines to choosing just the right tile kitchen backsplash. 1. Match colors, mix materials. Your countertop is going to be the strongest factor in selecting the color and style of your kitchen backsplash. That doesn't mean the tile needs to perfectly match however. Look at your fixtures and appliances and pull in colors or materials that work with those. Consider mixing metallic tiles with different finishes. Try glass tiles in complementary colors. A backsplash is the perfect space to use some accent colors. 2. Invest in the high impact zone. Clean, simple white ceramic tiles are usually the best value and can still give you a fresh, trendy look. In fact our in-house designers say that "3x6 inch subway tile is a clean look that is very popular in Indianapolis kitchens right now." A kitchen tile backsplash is both a fun and functional project. Don't let it overwhelm you, schedule a free design consultation with one of the experts at Indianapolis flooring store Kermans. We'll narrow down the choices to the best options for your room and help you find the best fit for your kitchen and your budget.